Custom Basketball Jerseys on a budget. We have a high quality basketball jerseys from Augusta Sportswear that are on sale for at least the first quarter of 2016. 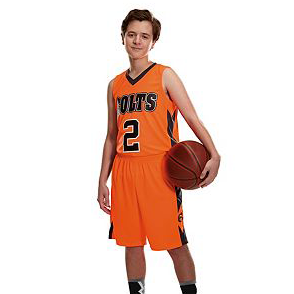 For a limited time you can get the Blockout Jerseys (above) and Fast Break Game Jerseys customize for $17.95. Minimum of 10. Please contact us for availability of the colors of the jersey you chose, because they may vary during peak basketball season. How much money can you raise selling t-shirt through Jerusalem Fields Custom Apparel. 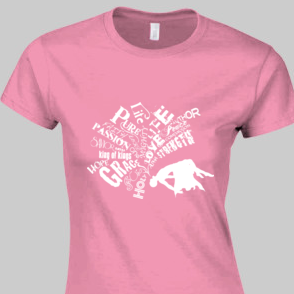 Check out our instant quote t-shirt calculator. Go to the Price Calculator and put in the amount of shirts you plan on selling and how many colors are in the design in the front and back, then click Fundraising Calcutor and and put in your selling price. In the box below "Your estimated proceeds!" is an estimate of how much money you can expect. Custom Baseball and Softball Jerseys on a budget. 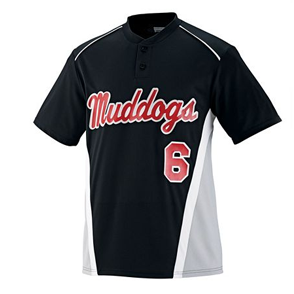 Need a custom baseball and softball jerseys? We have a high quality baseball and softball jerseys from Augusta Sportswear that are on sale for at least the first quarter of 2016. For a limited time you can get the RBI Jerseys (above) customize for $19.95. Minimum of 10. Please contact us for availability of the colors of the jersey you chose, because they may vary during peak baseball or softball season. When you order a set of jerseys from us you have the opportunity to receive some of the Christian shirts (like the one above) for 75% off the retail value. What if your trying to sell your own t-shirts to make money? We also have a fundraising campaign. When we do your fundraising campaign we need a very good description. This will clearly state the details on why you have this event or why you are raising money. Once you start sharing your link to friends, family and coworkers via Facebook, Twitter and another social media site you want to make sure they can view it properly on a phone. That’s why at Jerusalem Fields our web stores have a responsive design. Which means no matter if they are using a tablet, cell phone or desktop the website displays perfectly. Some of the Events that would be perfect for this program.